Dr Susie Khamis is Senior Lecturer in Public Communication. 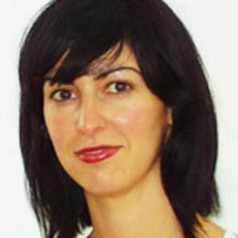 Her doctoral thesis ‘Bushells and the Cultural Logic of Branding’ won the Sydney Harbour Foreshore Heritage Prize in 2007, and in 2011 she was founding editor of Locale: The Australasian-Pacific Journal of Regional Food Studies. Her research areas are branding, representations of cultural diversity, and consumer cultures. She has published widely in these areas and her current research focuses on how successful global brands represent cultural diversity in their marketing media.